Delightful Doll Dress Pattern™, PDF, Make blouses and nightgowns too. Variations are unlimited using different fabrics and trimmings. Don't you think your child's favorite doll should be unique, bendable and lovingly created by someone who has a special relationship with your child rather than mass produced in a foreign factory? You will be able to create an extensive wardrobe for My Doll'n™ and most other 18-20 inch dolls just by using my two basic doll clothes patterns, the Delightful Doll Dress™ and Our Overalls™. With the Delightful Doll Dress Pattern™ you will be able to make a wonderful variety of doll dresses just by varying your fabrics and trimmings, and sleeve lengths. And you can make blouses and nightgowns by easily varying the fullness of the fabric and by eliminating the waist casing. 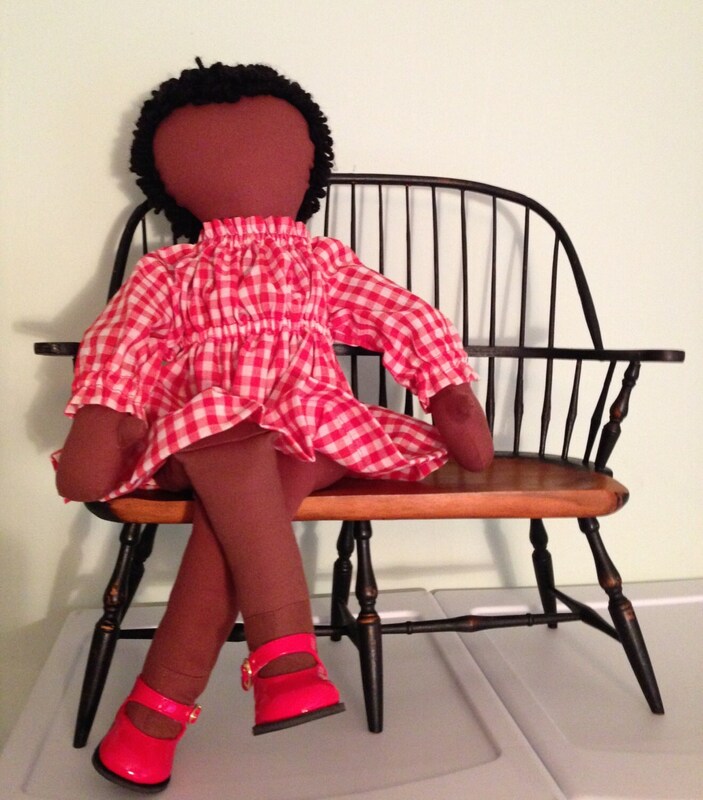 All of our patterns are designed to make it easy to create well constructed dolls and doll clothes. The Patterns include instruction in the basic sewing techniques needed. They include ideas to help you design your own doll and doll clothing variations.